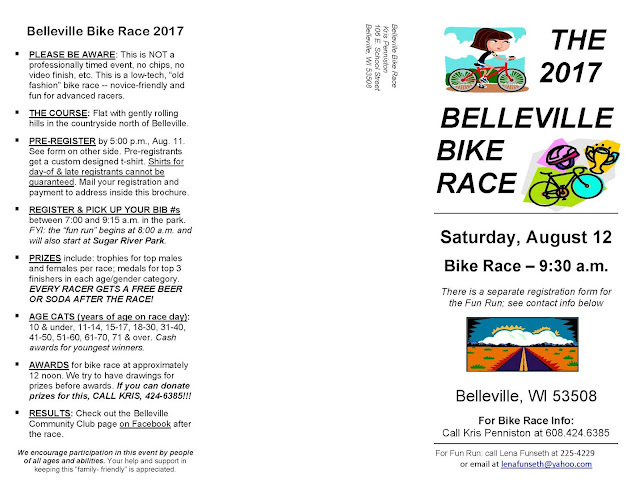 This year's Belleville bike race is Sat., Aug. 12. 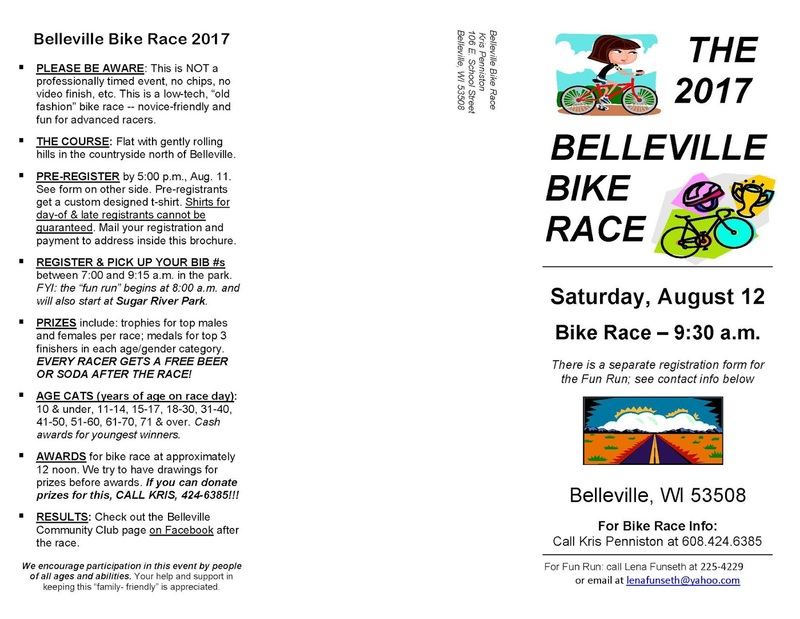 Again, we'll start in Sugar River Park, the site of the 2017 Belleville Community Picnic. 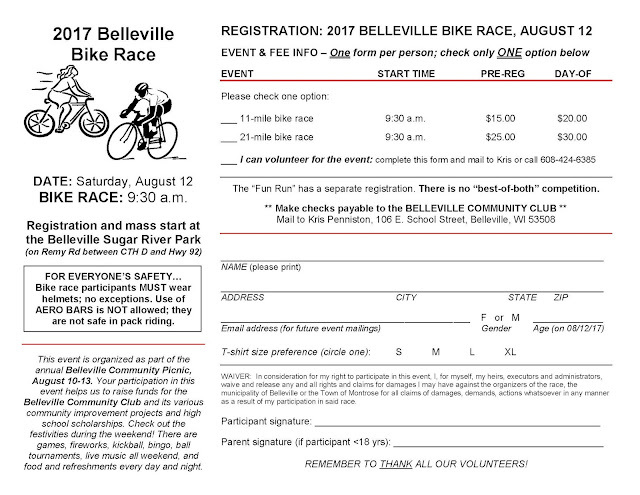 This year we will trial a separate start for those registering for the 11-mile race/ride. We'll let the 21-mile participants go out first and then, 3 minutes later, will send out the rest. The funds raised from this race go to the Belleville Community Club, which sponsors high school senior scholarships and local youth organizations, raises funds for and participates in community improvement projects, and organizes the annual community picnic. 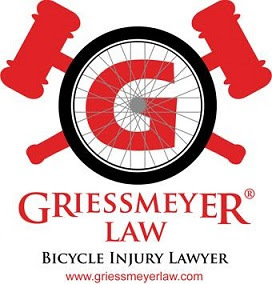 As always, awards after the race will be at noon in Sugar River Park and will feature the usual fabulous array of gifts and donations (thanks to Mary & Dale Funseth for their efforts).